Spotlight On: Reversible Quilts — THE HANNA BLOG Worked like a charm! 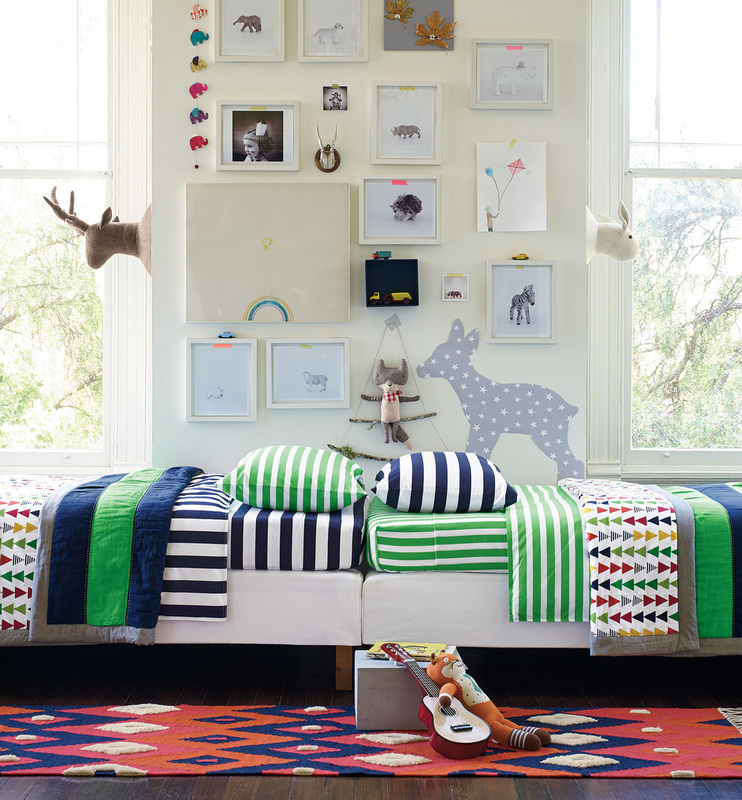 Hanna Home has officially launched and we've got a lot to be excited about! When we created our home line, we wanted to be sure that every detail was perfect. The quilts in particular were a serious labor of love. We poured over every stitch, hem, and fabric swatch to make sure they were kid-friendly, heirloom quality and up to our high Hanna standards. We decided make the majority of our quilts reversible because we wanted that versatility that we found was lacking in the marketplace. And we loved the fact that kids would be able to make their own beds any which way and still have them look great. We chatted with our Home Merchant Kara Carter to get the inside scoop on a few of our favorite showstoppers from Hanna Home. "Something that was key for us in creating this line was mixing our Swedish modern and heritage sensibilities. These quilts are the perfect investment pieces, not only because of their excellent quality but because of their inherent versatility for any room." "I love creating a bed that my daughter will love snuggling up in every night as much as I love the way it looks. It’s a win win. The semi-attached hearts are so tactile and the multicolor palette is so beautifully whimsical." "There’s nothing I love more than versatility when designing the perfect bedroom. 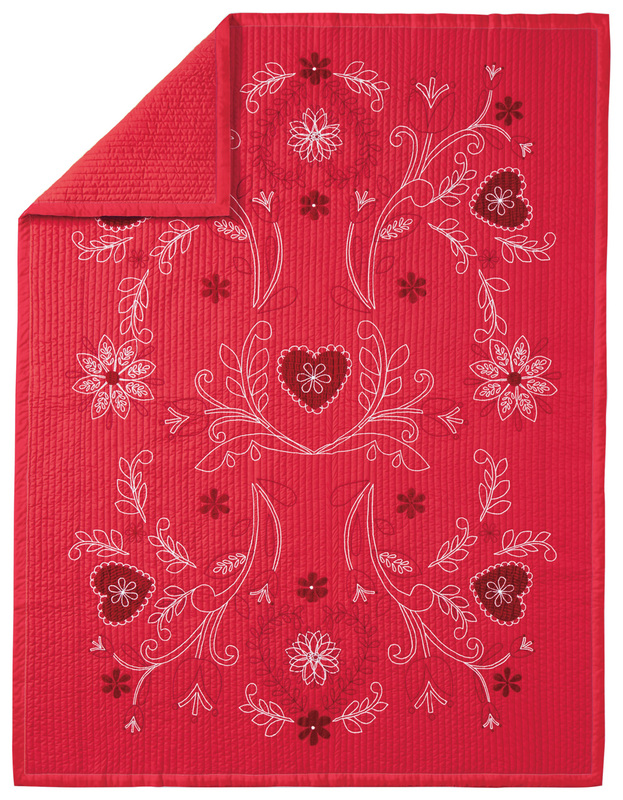 Having a reversible quilt allows you to play with different color themes and accent items. This quilt works well for both a very young child and then can get more sophisticated and sporty as they get older"
"We want kids to be kids, and have beds that look great any way they put it together! 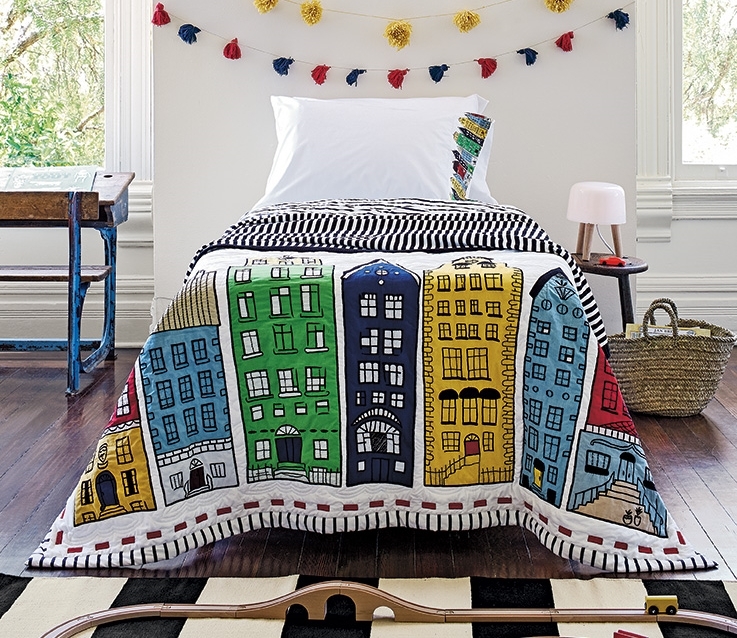 The Port Town quilt is a wonderful heirloom piece that grows with your child. 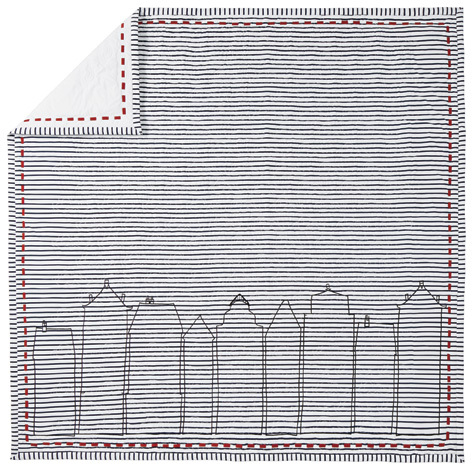 Bright, bold Scandinavian row houses on one side with a navy ticking stripe on the reverse." "Ahhh…this quilt is absolutely exquisite, and the perfect nod to our Scandinavian roots. I love this quilt, because you can create a classic sweet look with crisp white sheets and our Smocking Heart duvet, or pair with our Swedish red striped sheets for a playful mix of modern and heritage." You can shop all of the quilts above HERE, as well as explore the entire collection. Stay tuned for our next spotlight on: RUGS.